Growing up in Germany with an Austrian Mother and a Dutch Father sometimes meant that we mixed traditions and holidays to our liking. Therefore we often celebrated Sinterklaas on the 5th of December instead of the 6th as common in Austria and Germany. 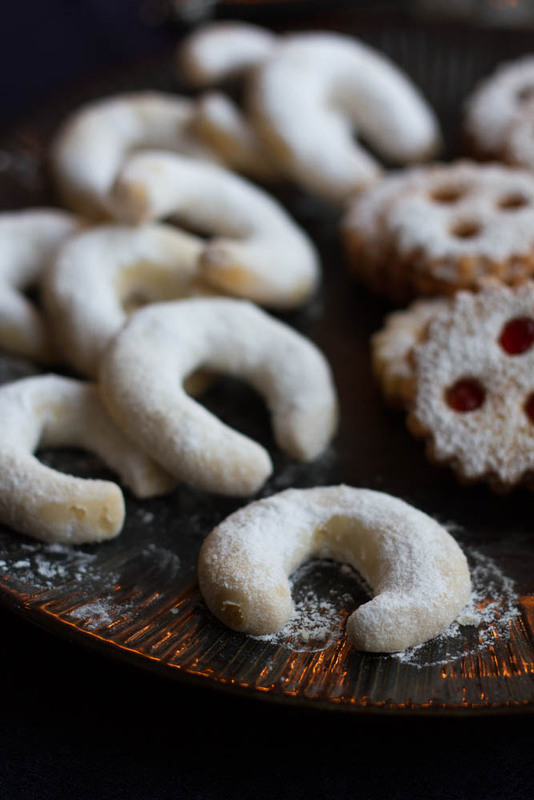 One thing however always stayed the same: When it came to baking my Mum obviously stayed true to her roots, so we always baked Austrian sweets for the holidays like Kärnter Reindling for Easter and for Christmas we baked a lot of Austrian Plätzchen (= Christmas Cookies). 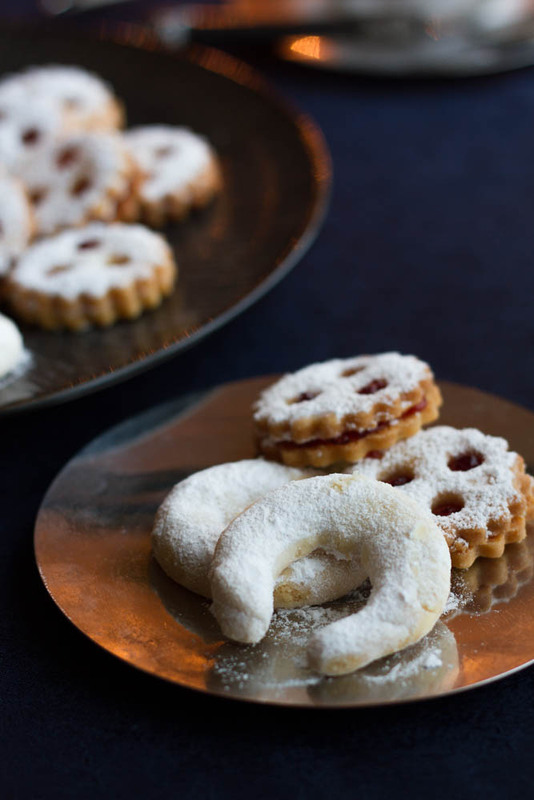 We have a few favorite cookies which we bake every single year and I would like to show you two of those favorites today and tomorrow. I got the recipes a few years ago from my mother when I moved out and ever since I bake them for me and my boyfriend as well each year! 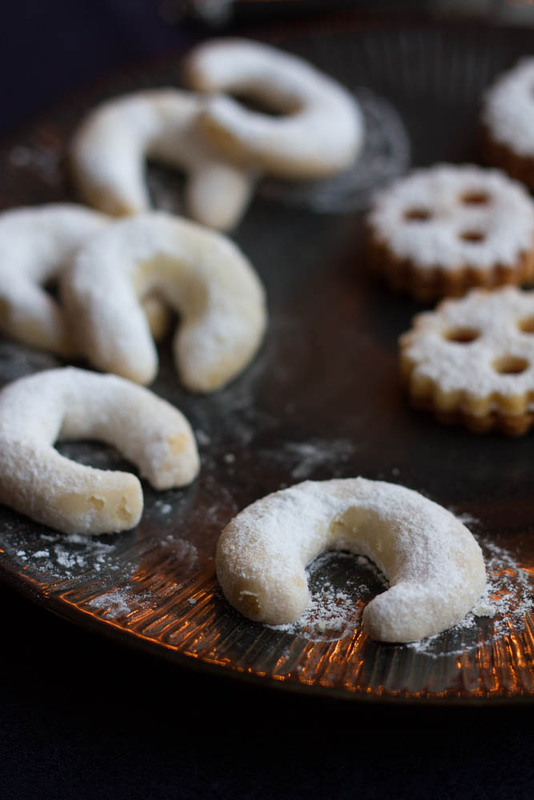 The first Christmas Cookie recipe I want to share with you are so called Vanillekipferl. Kipferl just means the round shaped form really and I guess vanilla speaks for itself in every language 😉 Those are my mothers favorite, so they mean a lot to me and last year she liked mine even better than hers 😮 Isn’t that the biggest compliment one can get? She usually bakes them with hazelnuts, but as I often have tons of grounded almonds lying around I tend to bake the kipferl with almonds instead. The recipe actually doesn’t say which kind of nuts you should use, so feel free to use any type of nut you prefer. It can take some while until everything is well combined, be patient, it will be worth it! Be careful as they can break easily at this stage! 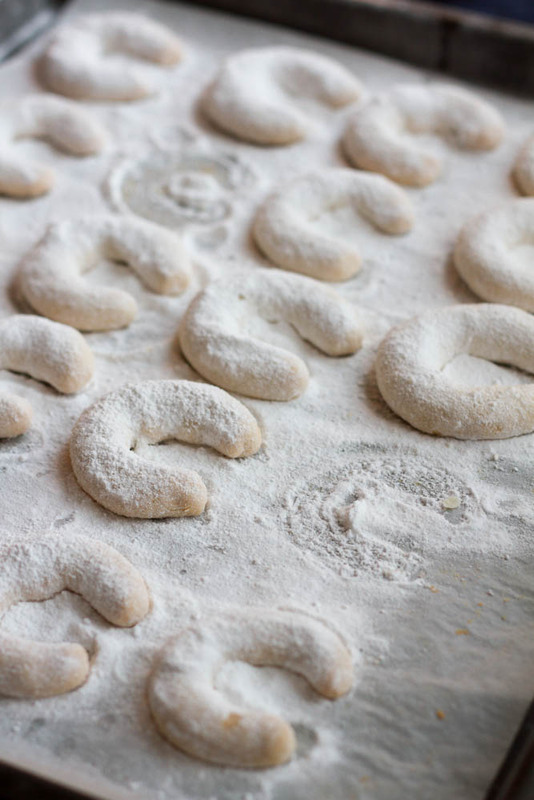 TIP: You can easily make the dough one day in advance. Store in the fridge covered with clingfilm. The next day get the dough out about 1 hour before preparing the Kipferl.